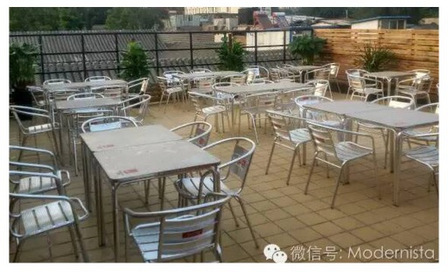 Pups and pics, dogs and draft, call it what you want, Baochao Hutong veteran Modernista officially opens its terrace Saturday* with a focus on our canine friends. 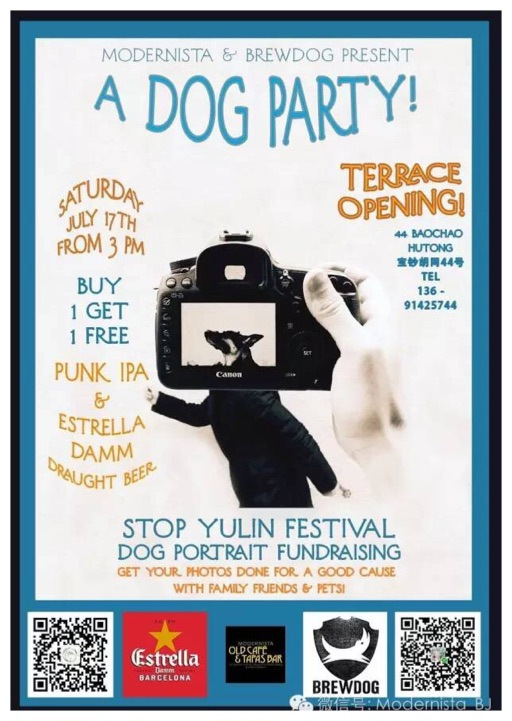 The “dog party” will double as a fundraiser to care for animals rescued from the annual Yulin Dog Meat Festival. Attendees can enjoy a buy one, get one deal on draft Punk IPA, from the appropriately named Brew Dog, and Estrella Damn. The party starts at 3 PM. There will be an informal talk at 5 PM about how to help the 400 dogs that currently need help. Modernista has daily drink deals, including 35-kuai cocktails from 6 PM to 9 PM and 10-kuai shots from midnight to 2 AM. The bar is open daily while Modernista restaurant operates from 6 PM to 11:30 PM, Tuesday through Sunday. * I know the poster says May 17, but it’s May 16, the Saturday. Check out sibling blogs World Baijiu Day and Grape Wall of China. Hot take | I hate flaming drinks. These videos show why. A bowler walks into a bar and orders a cocktail.